Description: Mercedes-BENZ USA is a business categorized under automobile dealers-new cars, which is part of the larger category motor vehicle dealers-new & used. 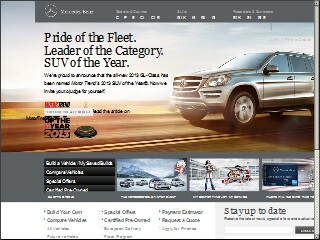 Mercedes-BENZ USA is located at the address 1 Mercedes Dr in Belcamp, Maryland 21017-1297. The Manager is Rick Schubert who can be contacted at (410)575-7250. Location & access map for "Mercedes-BENZ USA"